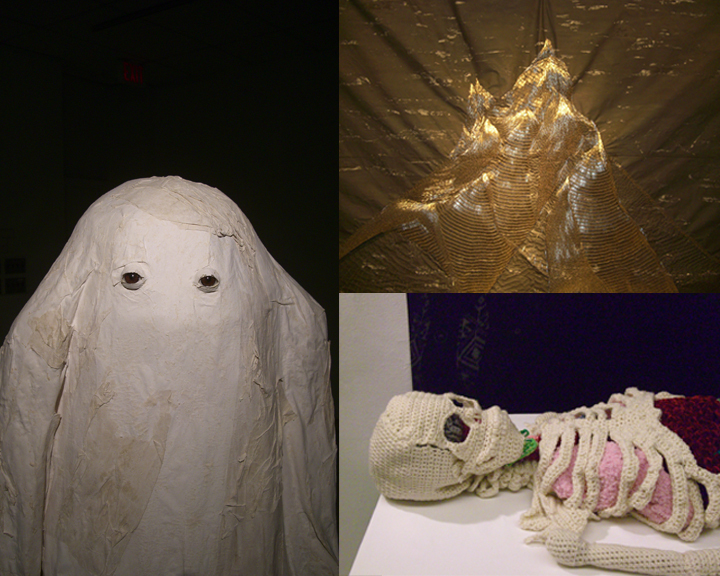 Shanell Papp is known for her textile sculptural work and this talk will cover a wide range of her practice which encompasses textiles, photo, video, curatorial, design, teaching and art organizational work. Papp has exhibited her work at the Alberta Craft Council and Latitude 53 in Edmonton, PAVEDarts, AKA, and The Gordon Snelgrove Gallery in Saskatoon, The New Gallery, Pith Gallery and The Eskar in Calgary, the Gallery Gachette in Vancouver, the Textile Museum of Canada, and City of Craft Festival in Toronto. Her work has been published in Galleries West, Studio Magazine, Broken Pencil and in Catalogs for Snap, Crackle, Pop and the University of Lethbridge Art Gallery and the Eskar gallery publications. Papp has been awarded residencies at the Gushul Studio and the Banff Centre. Papp currently works as Curator and conservator at the Library Gallery, in Lethbridge, AB.